Boost productivity. Eliminate plaster. Make better-fitting prosthetics and orthotics. For many years, the custom fitting of orthotic and prosthetic (O&P) devices involved a manual plaster casting process that was slow, messy, and uncomfortable for the patient. Modern Computer-aided Design and Manufacturing (CAD/CAM) replaces plasterwork with a digital solution that is much faster, more accurate, more pleasant for patients, and safer for clinicians. 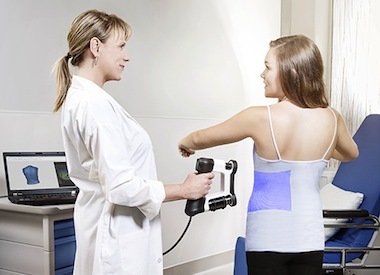 Non-contact 3D optical scanners capture your patient’s shape much faster and more accurately than plaster casts - without mess and discomfort. 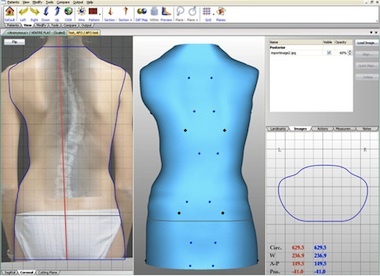 Computer-based 3D design software tools let you quickly apply anatomical corrections to the scanned shape to create the desired form. A high speed carver automatically machines an accurate, lightweight foam mold, or a 3D printer fabricates the device directly. Boost productivity by up to 600%. Easily share detailed patient shapes and treatment history with partners and payers. 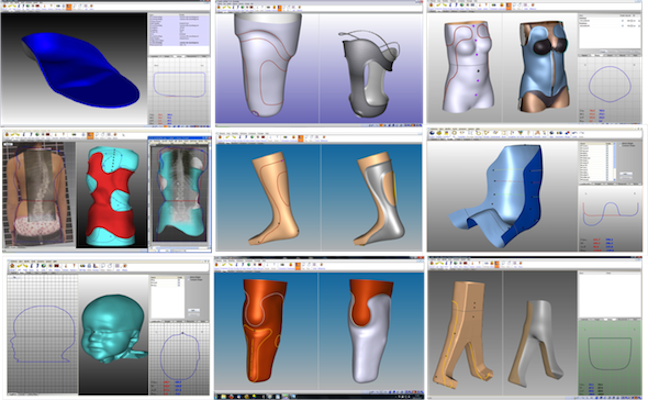 CAD/CAM solution for prosthetics and orthotics. "Vorum offers the most complete, reliable technology platform and they back it up with comprehensive training and the best support."